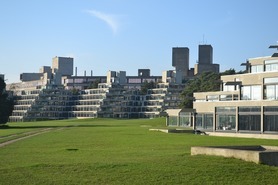 This month’s locality focus looks at teams in the ‘Beautiful South’. We are grateful to Amy Brooke, Head of Services and Partnerships and Helen Allan, Interim Head of Social Work and their teams for the content in this issue. 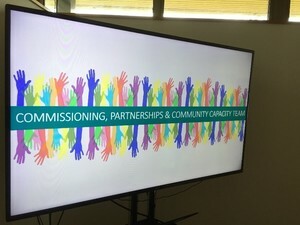 It’s been a hectic few months in the locality firstly welcoming the South Social Work teams moving into the Daniels Room at South Norfolk Council Offices in May, and now planning the launch of the Locality Management Forum and a busy market place networking event for our staff and partners. This edition gives a flavour of some of the projects and initiatives our teams are busy working on, if you want to know more we would love to hear from you. The South School network meeting took place on 13th June hosted by Wymondham College inviting all schools from across the South. This term the session included a workshop on the SEN Advisory Service, an introduction to Social Prescribing and improving the quality and timeliness of Personal Education Plans (PEPs). A ‘whats on in my community’ activity was led by Our Commissioning, Partnerships and Community Capacity (CPCC) team that are keen to build strong relationships with local universal services and gave schools a real insight into the lesser known community services available to support their most vulnerable children and young people. 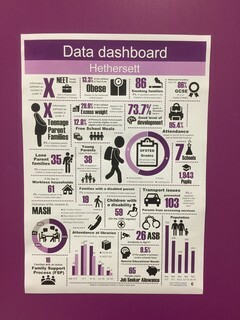 The Commissioning, Partnerships and Community Capacity team produce a monitoring report of local needs data bi-monthly in an easy and accessible way using infographics for staff and partners from across the locality. The report aims to identify key need areas, hotspots and identify trends in order to plan services more effectively. The report contains snapshot data on a wide range of different issues concerning children and young people. It has already been successful in terms of informing decisions in key projects, and developing groups to address needs – for example the data helped to launch a support group in Wymondham to tackle the high numbers of young parents in the area. If you would like to be added to the mailing list please contact our Partnership Officer luke.keegan@norfolk.gov.uk. According to the latest National Child Measurement Programme data, Long Stratton has the biggest problem with childhood obesity in South Norfolk. In the school cluster area, 20.9% of the pupils in year 6 are classed as obese, and 35.1% have excess weight. The number of children aged 0 to 3 using libraries in South Norfolk has significantly increased in the last year, however library usage among young people aged 16 to 19 has been decreasing. Levels of anxiety and worry among children have been on the increase. Parents often lack the capacity to deal with their child anxiety and worry. Worry Stop is an innovative and an informal event organised by the Commissioning, Partnerships and Community Capacity (CPCC) team. 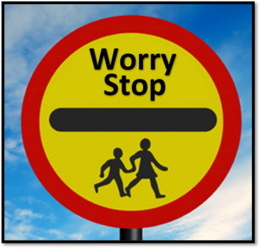 Worry Stop aims to promote health and mental wellbeing of children and their parents. Worry stop provides opportunity for parents to come together, share experience and try practical skills provided by practitioners to enable them build parenting capacity and confidence to manage child anxiety and worry at home. It also offers opportunity for collaborative working with universal service partners to plan and deliver cost effective services. So far, over 100 parents have attended worry stop in Hethersett, Cringleford, Long Stratton and Wymondham. There will be an upcoming date in September in the Norwich locality. If you like to know more about worry stop or want worry stop to be held in your area, please contact our Community Capacity Coordinator kalu.kalu@norfolk.gov.uk. The next meeting will focus on local needs analysis based on profile data available to us and the way we can work more collaboratively to respond to this as well as a spotlight on Welfare Reform and planning for full service universal credit locally. South Norfolk have launched a text message service targeted at young people at secondary schools within South Norfolk. 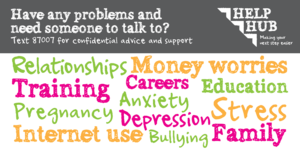 Young people can contact the Help Hub for confidential advice and support and can expect a response from the Help Hub practitioner giving information, advice and signposting to local services within one working day. Do you know someone who is an IT superhero? Someone who using technology effectively and creatively? They don't have to be a techie - just clever with IT! If so, make sure you nominate them in this year's staff Outstanding Contribution Awards (OSCAs). Simply complete the short OSCA nomination form by 4 August (summer period). Read more. So how well are we doing? What change has taken place? How was the Family Practitioner? On Thursday 20th July between 12pm and 1.30pm the South Early Help Hub is opening its doors to all staff and partner agencies for a locality wide marketplace event. The event will offer the chance to chat to staff from services operating across all ages in the locality, to meet the different teams and understand what each other do in order to more effectively support our families. Managers from within Early Help have been on the road talking with Secondary School head teachers and safeguarding leads across South Norfolk about interactions with Early Help teams. Whilst overall the meetings were positive, it was not without challenge on the usual areas of difficulty such as threshold, decision making and universal services capacity. On the whole, schools felt well supported and clear on the types of support and work that our teams do. They feel clarity and consistency is improving. This work has given us a springboard to develop our locality plans and to maintain a regular dialogue with schools. Low number of Family Support Plans (FSPs) being initiated by schools due to lack of up to date training and confidence in the new process. – We are developing tailor-made twilight and specific enhancement sessions for schools. The invariability of attendance at school cluster meetings – we are revising our safeguarding leads in schools and the offer they give to cluster arrangements. Variability of approach to fully embed Signs of Safety (SoS) – We will encourage and promote the SoS development sessions to schools and in addition offer subject specific updates with schools if required, as well as use our Superleaders to make effective links with schools who need additional support. Over the next month we welcome new practitioners Katie Burrell (pictured below) and Sue Alexander who join us as Family Practitioners bringing a wealth of expertise and experience with them. 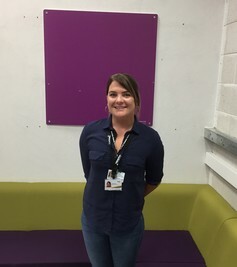 We also congratulate Claire Saye on her appointment as Assessment and Training Officer in the team replacing Edwina Goody who retired earlier in June after a long period of service within NCC. We are aware our teams in the City are overloaded with a significant volume of referrals that is not going to change given the size and complexity of the patch. It has been agreed in order to better apportion the workload across City and South, referrals received from University and Eaton wards (NR4) across Early Help and Social work will be picked up by the South area teams. The process to make this change official and as smooth as possible is currently underway, so the formal date for this change is yet to be agreed. What were the worries when you first met your Early Help Practitioner? Child A was hitting Mum and Dad, and had previously threatened to kill herself. Child B also used to hit mum and was swearing. Child A needed a special school placement before she started year 7. What was in your plan? Work towards improving Mum & Dad’s wellbeing, relationship and parenting skills. Give Child B an opportunity to talk about how she is feeling, and source positive activities for her to attend after school. Work towards sourcing a special school place for Child A. The Practitioner helped the parents stop arguing and improved their parenting skills so they could tackle poor behaviour. Child B is now a member of Youth Advisory Board. The Practitioner helped the parents to fill out forms for benefits, and also worked to secure an appropriate school placement for child A. What does the family think?